22 oval emeralds completely take over this diamond anniversary ring. 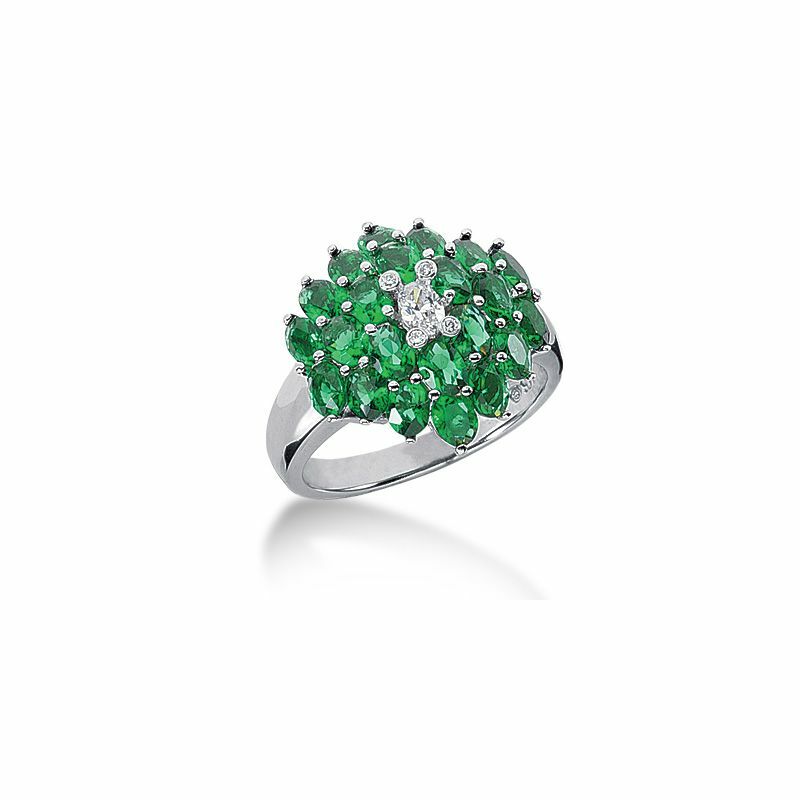 In the center is an oval cut diamond, surrounded by the emeralds, and four round brilliant diamonds. 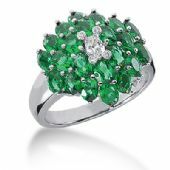 This 4.64ctw diamond ring has all of its diamonds/emeralds set in a prong setting.